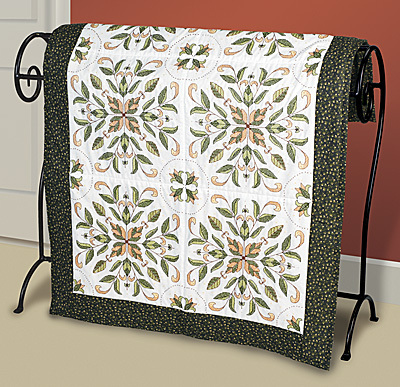 Antique Foliage Stamped Cross Stitch Quilt Blocks would be a great addition to any living or bedroom. 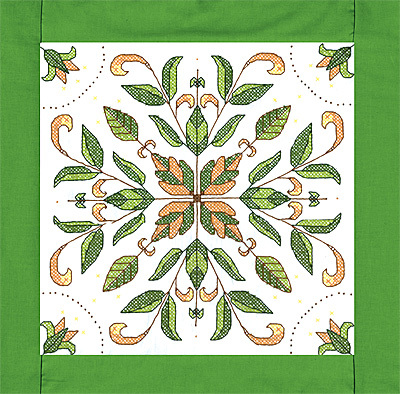 This traditional country pattern can be used as bedding, a couch throw, or decorative wall hanging. The package contains: 6 screen-printed 15"x15" poly/cotton broadcloth quilt blocks, needle, graph and multi-lingual instructions. Floss not included. Made in the USA Designed by Sandra Garbrandt.